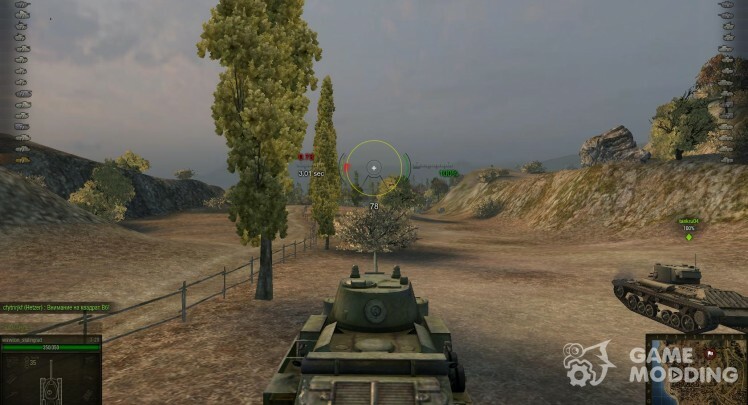 It is clear that if you drive a tank, without a crosshair you just anywhere. 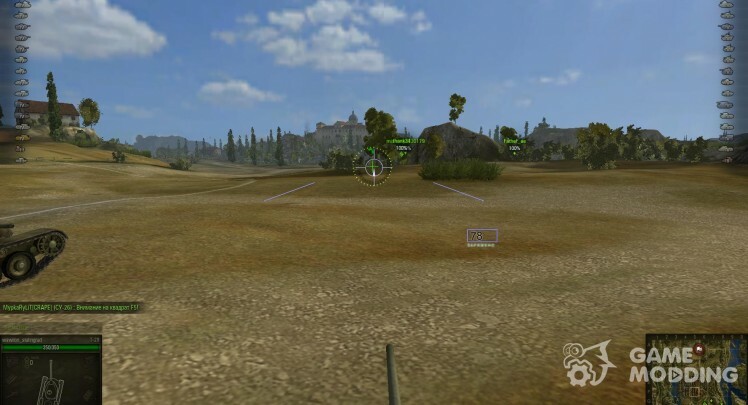 crosshair in the game World of Tanks. There are three types: arcade, sniper and artillery. In different situations, reasonable use of different scopes. 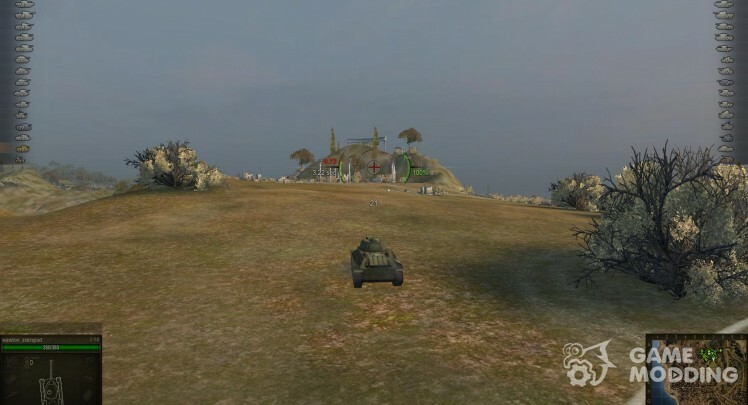 For example arcade used when moving the tank on the map. Sniper needed to conduct the battle - it is easier to aim with about enemies. 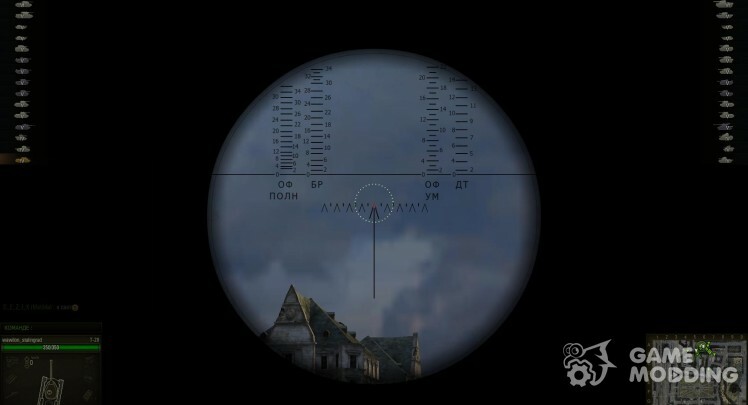 And artillery - is the crosshair that can be seen in the mode of artillery fire. 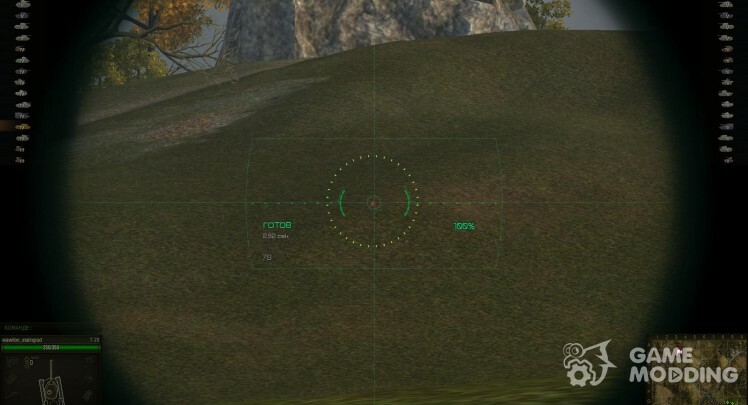 If you play World of Tanks with standard crosshairs, it means you just have never put crosshair mods! All with mods much easier to play. On our site you can find a replacement for any of the crosshairs. We hope you will choose the one that suits you. They are numerous, for every taste. 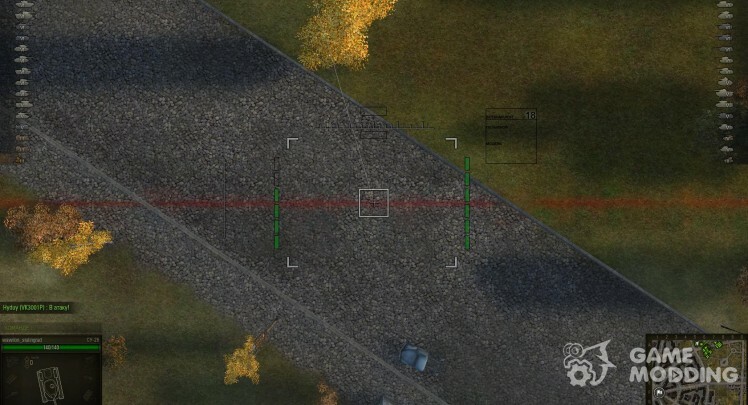 Each crosshairs for wot is put into play automatically. We will develop your autoinstaller modifications. 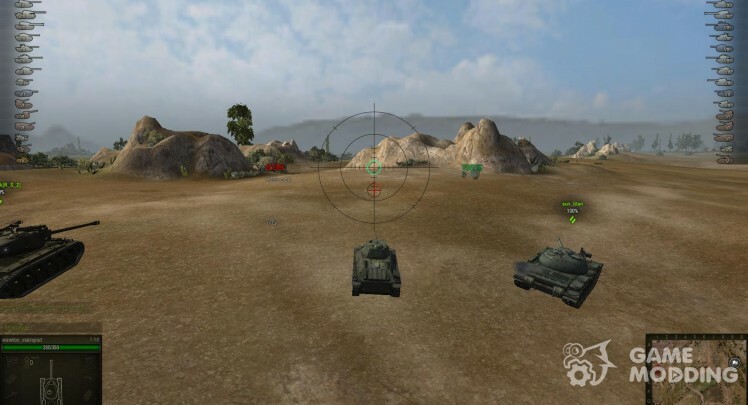 Because of this you no longer need to puzzle over how to set crosshairs for wot. 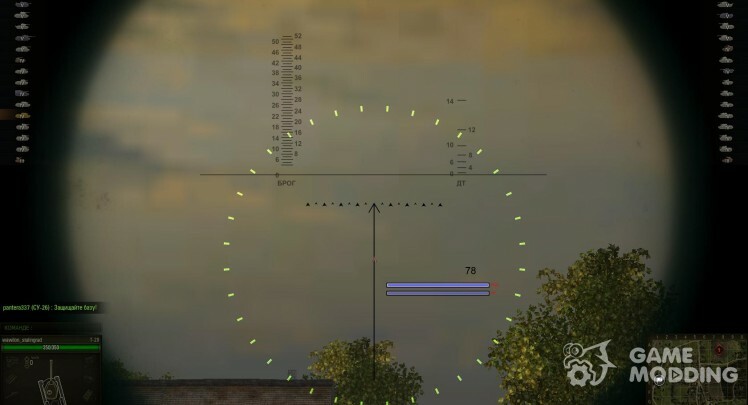 Sights for World of Tanks " Turquoise "
World of Tanks and sniper sights arcade for 0.8.2 + new sequencing, all useful information.